316 p., 2 Lesebändchen, 12,7 x 17,8 cm. 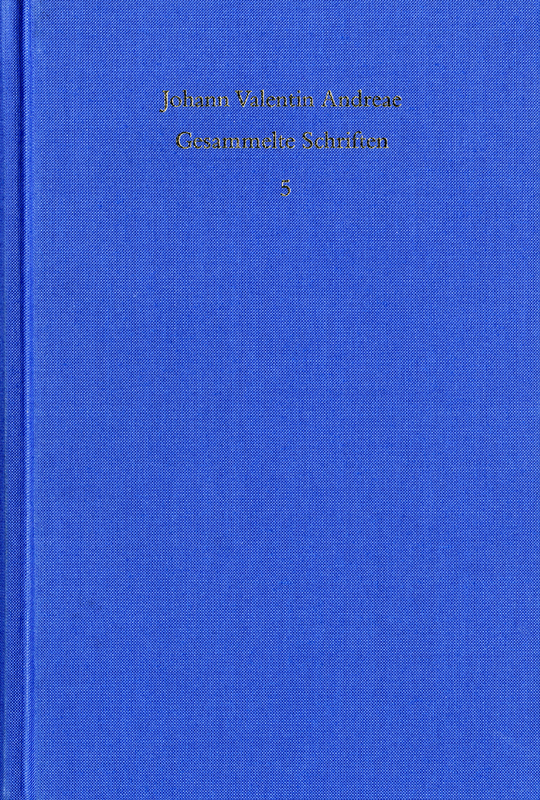 This is the first translation of the ›Scheide des geistlichen Schwertes‹ (Sheath of the Sword of the Spirit) (the title was taken from the Epistle to the Ephesians), a collection of a great many aphorisms, which in a paradoxical, often deliberately enigmatic escalation introduce the mystical, religious reform program of the young Andreae, clearly inspired by Johann Arndt. In a condensed form, it provides an overview of Andreae’s philosophy and theology and his circle in Tübingen (Tobias Heß, Christoph Besold among others) and shows once again their close connection to the Rosicrucian Manifestos which originated at almost the same time. The ›Theca‹ played a central role in the literary works written during his time in Vaihing (1614–20), since they contain numerous detailed quotations from other works by Andreae and thus provide interesting evidence related to questions of dates and interpretation. Ein schön und sorgfältig gestalteter fünfter Band der Werkausgabe Andreaes.